We All Scream For..Spinach Ice Cream! Yes, spinach ice cream, but don’t tell your kids that! 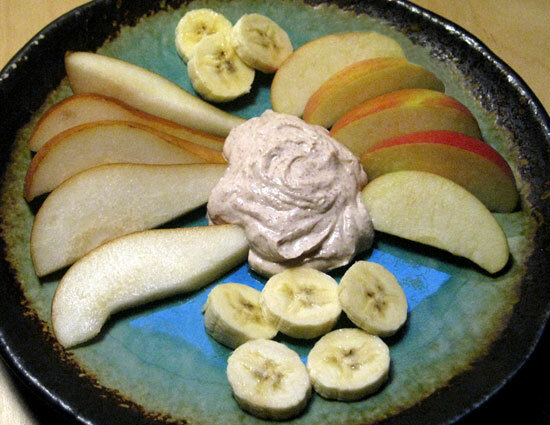 I want to share with you my Husband’s favorite bed-time snack even a 2-year-old will eat! Every night before bed my husband eats his “spinach ice cream”, I have yet to join in the ice cream party, but my 2-year-old nephew sure has! If you are looking for an evening snack, but don’t want to reach for the chip bag, here is the ice cream recipe that will keep you a lean, mean weight-lifting machine! Place all ingredients in the listed order above into your blender. I use my Vitamix to make this recipe, but I would definitely use whatever blender you have at home to give it a try, and blend all ingredients until it becomes an ice cream like consistency. If your blender doesn’t make an ice cream like consistency, try placing the blended mixture into the freezer until it becomes more frozen. 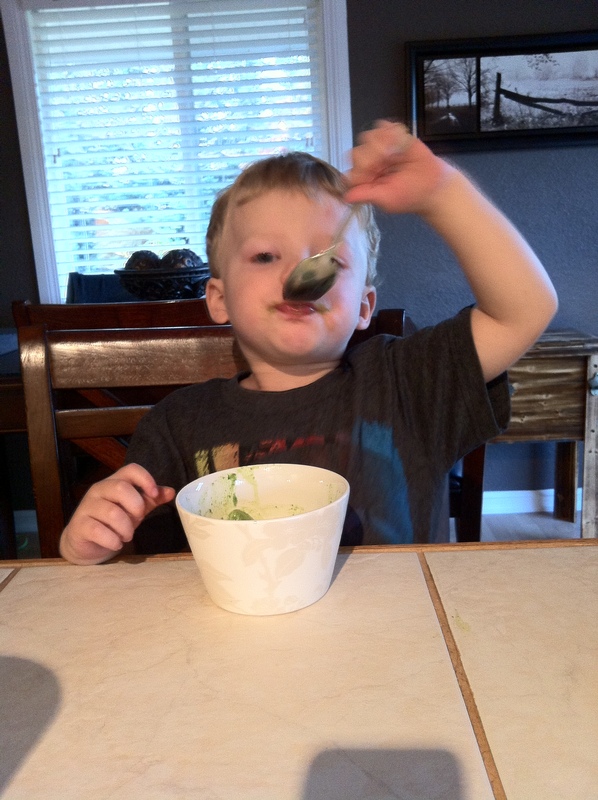 Here is my super cute 2-year-old nephew eating his spinach ice cream like it was chocolate cake! I have been caught by the cold bug! Although I have lost somewhat of my appetite I continue to eat every 2-3 hours and eat my same meals. I continue my day as if nothing is wrong, but I am taking it easier in the gym and took an extra couple of days off. As hard as it is to slow down, I know it will make me better quicker. What are some natural remedies you use when you are sick??? Help a sister out and share them with me please! Now I am totally into quick and easy snacks, and this is definitely one of them. I found it on fitsugar.com and thought I would share with you all! It’s great for adults and kids alike, quick, easy and yummy! Enjoy! I found this picture on of all places Pinterst (imagine that!) and loved it so much I wanted to share. It is soooo true! Women and men can be so hard on themselves, and only see progress as losing a significant amount of weight and making drastic changes. But that is not true at all. 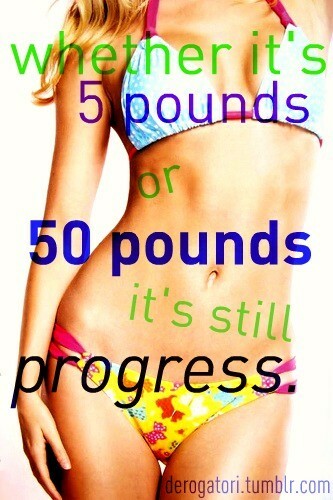 Every pound of fat lost, every ounce of muscle gained and all of your hard work cutting crap out of your diet is all considered progress!! Don’t be so hard on yourself, and I know this is easier said than done, because I still catch myself doing it. But be happy with what you have, not always with what you want. You will look back and think “why did I think I looked so bad then?” Be happy with yourself every step of your journey, because every day you are becoming a better and more healthy you!